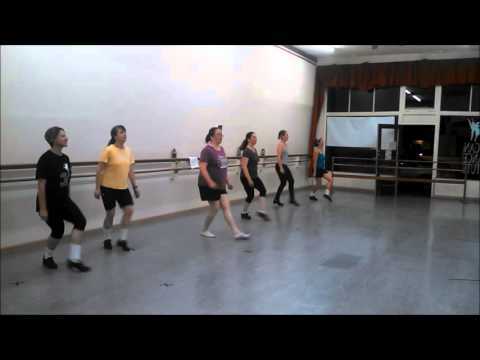 This is a 30 seconds video of our teen/adult Irish dancing class. They look pretty darn good. American Dance Institute also offers Irish dancing lessons for adults, kids Irish dance classes for ages 8-12, children's Irish dance classes for ages 5-7. We are not currently offering Irish Dance in Magnolia. Please check out our Greenwood classes. We are not currently offering Irish Dance in Shoreline. Please check out our Greenwood classes. Teen Irish Dancing is so inspirational. Teen Irish dancing is fun, energetic and highly aerobic. It’s also one of the most beautiful and inspiring dance styles on earth. We’ll get you started in this wonderful Irish tradition that mesmerized the world through the River Dance performances. Teens in beginning Irish dance classes will learn the basic jig and reel steps and put them together in simple solo and ceili (group) dances. Intermediate level teen students will learn more complicated patterning and preparations for hard shoe. You're looking for non-competitive Teen Irish dancing classes, but how do you find a good one? What questions do you ask? Here is some advice. Look for non-competitive Teen Irish dancing classes where everyone is friendly, there is no snickering and your child will always feel welcome. Look for a class where the teacher understands that the pace of the class has to be good for your child. Look for a teen Irish dance studio with specially designed 'sprung' wood floors that 'give' to protect their feet and ankles. Avoid studios with regular wood floors and heaven to bid, run away from dance studios with concrete floors. Most importantly look for a school that has expert Irish dance teachers who know how to give your child personalized attention so they will progress faster. We wrote a quick-read guide: 10 Top Questions to Ask A Dance School-Before You Give Them Your Money. It's FREE here. Teen Irish dance classes near you. "Like all great schools, the quality of the Irish dancing teacher makes all the difference." "Janelle is a wonderful instructor and caters to all of the experience levels in the class. She makes you feel at ease and that Irish dance is meant to be enjoyable. I had so much fun." Jennifer M﻿.